Update: Due to overwhelming response, we have moved the Gates book talk and signing to Phi Beta Kappa Hall, located directly across from Swem Library. The hall accommodates 700 guests. Seats are first-come, first-served. Doors open at noon. W&M Bookstore will be selling copies of Gates’ book, Duty: Memoirs of a Secretary at War, at Phi Beta Kappa Hall beginning at 12:30 p.m. Guest who pre-ordered books may collect their books at Phi Beta Kappa Hall. Following the program and book signing, a reception will be held in Swem Library. - Ed. William & Mary Chancellor and former U.S. Secretary of Defense Robert M. Gates ’65, L.H.D. ’98 will discuss his new memoir, Duty: Memoirs of a Secretary at War, at William & Mary’s Phi Beta Kappa Hall on Saturday, Feb. 8. The event, part of the College’s Charter Day weekend activities, will be held at 1:30 p.m. Gates will offer brief welcoming remarks before taking questions from the audience. Following the discussion, there will book signings and a reception. The event is free and open to members of the campus community as well as the general public. Attendees are asked to RSVP by Feb. 5 to swemrsvp@wm.edu. Swem Library is located on W&M’s campus at 400 Landrum Drive in Williamsburg. The book is a candid written account of Gates’ experience serving Presidents George W. Bush and Barack Obama during the wars in Iraq and Afghanistan. Written by Gates at his lakeside home north of Seattle, the memoir illuminates iconic figures, vital negotiations and critical situations in revealing detail. It was published Jan. 14 by Alfred A. Knopf. 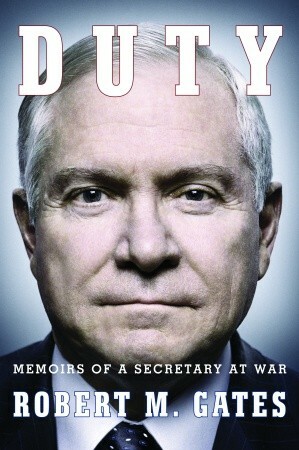 Gates used his personal papers from his term as Secretary of Defense to complete the memoir. In the fall, he announced that he will donate those papers, along with documents from his time at the CIA, his service at the National Security Council, his Texas A&M University presidency and his current role as William & Mary’s chancellor, to the College. The papers do not include classified materials from the CIA or Department of Defense but they do include Gates’ handwritten notes through the years, photographs and various materials he accumulated over the course of a long and distinguished career in public service. The papers will be housed in the Special Collections Research Center at Swem Library. The center is home to William & Mary’s archives, original manuscripts, rare books and other unique resources for student and faculty research. Gates, the only person in American history to serve as secretary of defense for presidents from different political parties, retired in 2011 after leading the U.S. Department of Defense under President George W. Bush and President Barack Obama. Prior to becoming defense secretary, Gates held numerous roles in the executive branch — serving eight presidents during his career. Upon his retirement as defense secretary, Obama awarded Gates the Presidential Medal of Freedom, the highest honor a president can bestow on a civilian. Gates has been awarded the National Security Medal and the Presidential Citizens Medal. He also received the National Intelligence Distinguished Service Medal three times and the CIA’s highest award, the Distinguished Intelligence Medal, three times. Gates, a history major who earned several accolades at William & Mary, was invested in 2012 as the university’s 24th chancellor. He is the first alumnus to hold the honorary position in the 321-year-old institution’s modern era.